Modern Thai Restaurant in Arlington, VA! My only (small) complaint is that in the Message (or Comments) section of the online order form, I asked for chopsticks and hot chili paste, but that request didn't convey to the restaurant. They showed me the printed order sheet, and it wasn't there. So I had to check the bag and then ask for those items. Great tasting Thai. Portions are a little small. For example, the steamed rice that comes with the meal is inadequate...I accidentally ordered an extra steamed rice & i had to wonder how anyone could do without the extra one. But all in all...order was quick and good...so I would order again. We ordered the pad thai with chicken satay and pork and crab dumplings. Delicious! The pad thai is big enough for two but you won't want to share. Will definitely be ordering again. We have ordered from Urban Thai for many years. Our Tom Kha Gai soup, kra pow beef, drunken noodles, and pad Thai were delicious as usual. We will definitely order again. 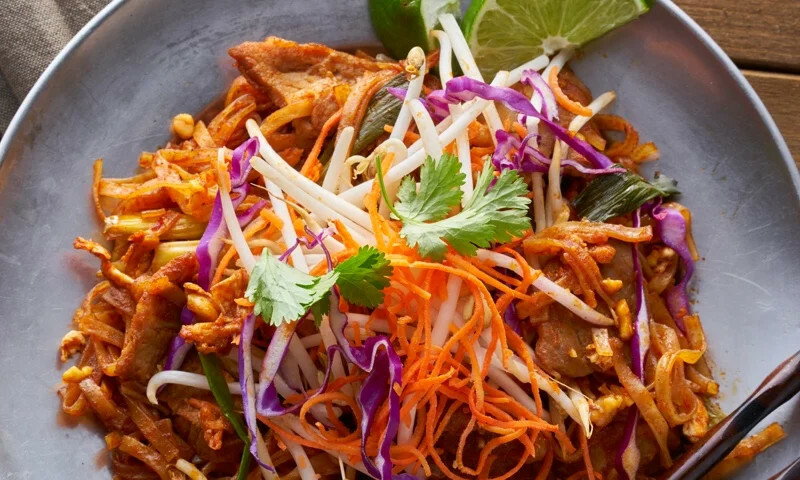 Whether you're craving a quick bite or looking to treat yourself to a delicious meal, you can now order your Urban Thai favorites for takeout or delivery.